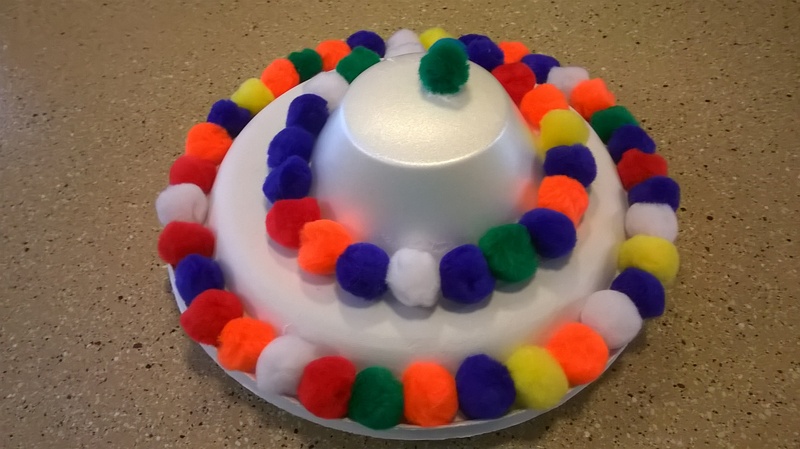 I originally bought a package of Solo Cups for something different to build with and it turned out to be a great activity. Since them I have used them for many different activities. Solo cup robots or aliens made a great addition to our Halloween decorations. When doing art projects like this I always make an example that is not to elaborate. This give Babs an idea of what we are working on. Not making it to elaborate leaves room for her imagination to be included. I poked a hole in the letter O on each side of the cup. 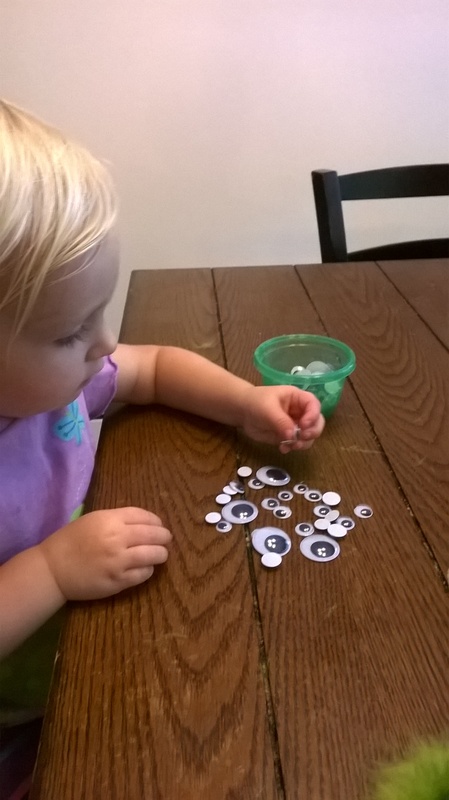 An adult can do this with a knife or you can help your child do it with a single hole punch. 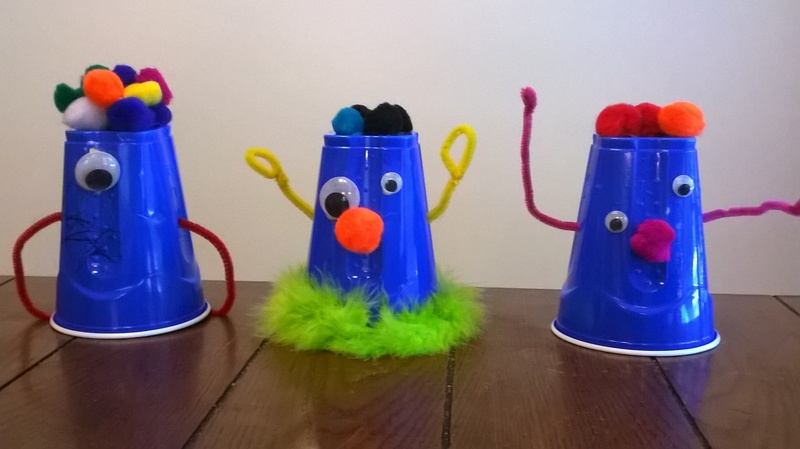 Then they are able to thread the pipe cleaners through the cup for the arms. 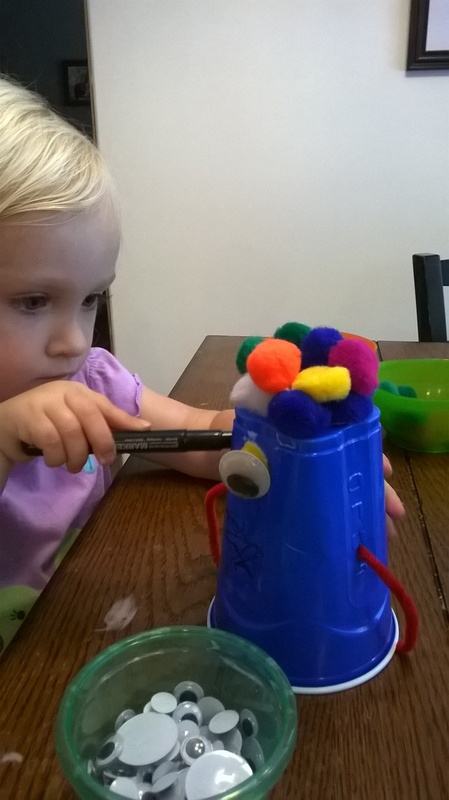 We used colored pom poms for the hair and nose and different size eyes. Regular Elmer’s School Glue worked perfect to get everything to stick. Hint: All of these materials can be purchased at the Dollar Store. To make our art materials last longer I only put out a little bit of each material. Then when they are gone we are done creating. 🙂 It also creates an easy stopping point because Babs would do arts and crafts all day!